If my headline sounds like the beginning of the Amazon's description for this bag, it's because it's spot on. I mostly car camp in southern California, but I do occasionally backpack and I intend to use this bag for both. I was searching for a quality non mummy type bag that was inexpensive. I took pictures that I have uploaded, and hopefully they will be approved. I compared it to my older synthetic Alpine Design bag, made by Sports Authority chain that no longer exists. 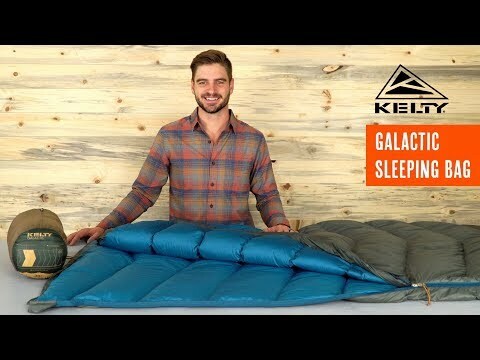 The Galactic Kelty bag is longer in size (got large in Kelty vs regular in SA. ), larger when unfolded, tiny bit heavier, and smaller when it's packed. I am generally pleased with it and it's quality. It does not pack too small, though I do not own a compression sack to try it out.